Startup companies that focus on technological advancements place long run bets, with uncertain pay-offs. 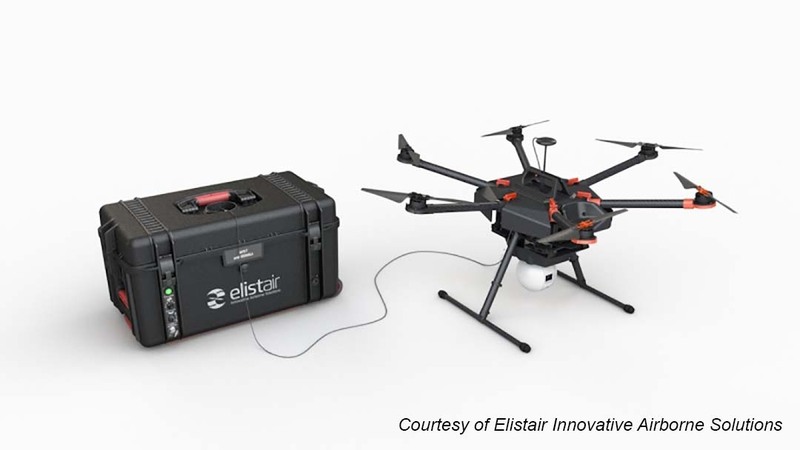 But for the drone company called Elistair, hitting rock bottom is not an option. Their tethered drone system is making an impact in unmanned aerial vehicles. The test in Andalucia discovered that nearby people can connect to the 4G coverage service without having to route the call through the main macro network. The France-based company is aiming to provide productivity and efficiency to the growing market of unmanned aerial vehicles (UAVs). One of their greatest contributions is the production of Safe-T and Ligh-T stations for drones. UAVs that are tethered to a Safe-T or a Ligh-T station will have the ability to do aerial surveillance, monitor traffic, and check industrial maintenance. They can also fly with no time limit and transfer data in a fast and safe manner. The features of Safe-T and Ligh-T stations prompted Vodafone, a well-known telecommunications company from England, to conduct a test that will surely create a bold impact to the society. Vodafone mainly offers services such as voice, data, and messaging; it also delivers powerful phone signals to its customers. The England-based firm rose to the occasion and started testing 4G coverage, which is also one of the features of Elistair’s Safe-T station. 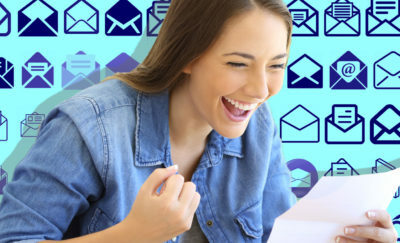 Users experience fast internet service. People could physically move while maintaining high bandwidth rates. No disruption when connected to the internet. Easier access to both applications and services. Users can customize their 4G coverage experience. The New Technologies and Innovation team, a group from Vodafone, has been testing the 4G coverage feature of Safe-T station that will be used in cases like natural disasters and emergency situations. The team is fully aware that a total absence of cellular coverage might occur in the aftermath of a calamity. This experiment is going to be beneficial to a lot of people, especially to a place where 4G coverage is not accessible. The tethered drone can produce a 4G coverage of up to 3 megabits per second (Mbps). The test location is an uncovered area of northern Andalucia, considered as an autonomous community in southern Spain. According to authorities, mobile relays are mounted on the Safe-T tethering station. It is also equipped with unlimited power supply, which is why the drone can fly up to 80 meters (262.47 feet) a day with the help of a Vodafone CrowdCell. The test in Andalucia discovered that nearby people can connect to the 4G coverage service without having to route the call through the main macro network. The New Technologies and Innovation team chose to experiment on Safe-T instead of Ligh-T because it is the only station that got an approval from the French Civil Aviation (DGAC). 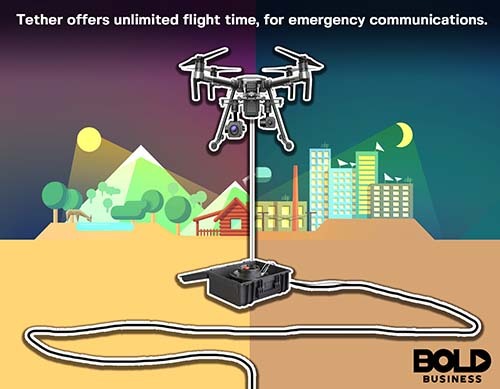 Aside from helping people deal with the aftermath of a calamity, the tethered drone could also be used in the following by police forces, security companies, fire-fighters, and industrialists. Drones have already come a long way. They are now becoming very useful for a lot of people in their everyday tasks. The industry of unmanned aerial drones is poised to have bold impact on the lives of everyone across the planet.